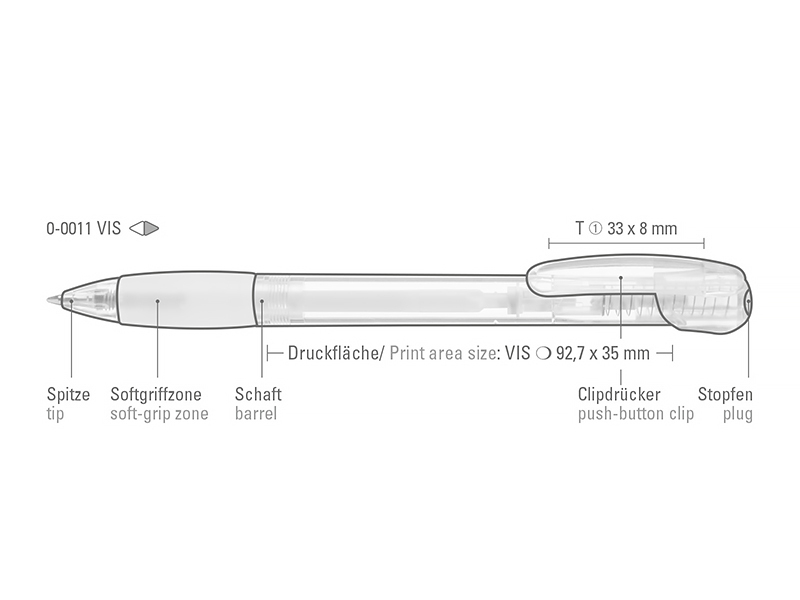 FANTASY push-button ballpoint pen with digital foil transfer imprint on the shaft. European X-20 plastic lead with white plastic tube, silver writing tip and tungsten carbide ball (1.0 mm). Writing capacity: approx. 2,000 m. German writing paste according to ISO standard.